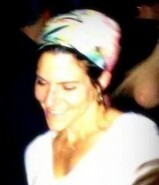 Corinne Berzon is a doctoral candidate in bioethics at Bar Ilan University. Since moving to Israel from Montreal twelve years ago she has written for the Jerusalem Center for Public Affairs, the Joint Distribution Committee and the Times of Israel. Corinne lives in Modiin with her husband and three tzabra daughters.